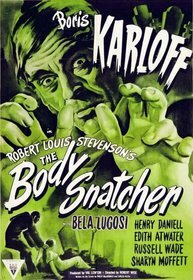 It's been nearly a year and a half since news came in about the option that Twisted Pictures (the genre arm of Evolution Entertainment) had picked up to produce remakes of four RKO chillers -- three based on films produced by Val Lewton and one unknown. Up until recently, we had very little news beyond that announcement, but thankfully some more information has come to light. Thansk to Variety.com, the fourth property is now known -- and it is not a Val Lewton film, nor is it horror. In addition to the previously announced I Walked with a Zombie, The Body Snatcher, and Bedlam, Twisted Pictures will also be producing a remake of the 1939 thriller Five Came Back, about the crew and passengers of a stranded aircraft who must decide who will stay and who will go when it's discovered that the repaired airplane will only support five. Additionally, Variety reports that director Andy Fickman (Reefer Madness: The Movie Musical, The Game Plan) has signed on to "godfather" the four films and direct at least one of them. From the sound of it, Twisted is attempting to create a parallel with how the Lewton films were made, with Fickman acting in the Lewton role as a managing producer maintaining consistency and quality between each movie. In an interview with FEARNet, Fickman gives an update on the progress of the four films and his approach in making them. "I said [to Twisted Pictures and RKO], 'Yeah, but y’know, I’d like to take these and kind of do what Lewton would do if he were still alive today' – which is I wanna give them a fresh spin but still honor what the stories were about. I wasn’t as interested in doing them as period pieces." He talks about a number of different angles that could apply to each of the films and says that he does want to recraft Five Came Back as a horror film. All four films are still in the writing phase, but Fickman says that the current plan is to begin filming in Spring 2009 and some location scouting has already commenced. 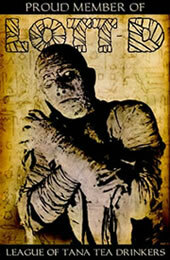 For more details on Fickman's approach, head on over to FEARNet. Submitted by Robert Ring on Tue, 2008-11-18 06:03. I'm praying -- though I'm not optimistic -- that no one destroys these great films. I also hate how now I'm going to have to say, "Oh I love Bedlam...the original, I mean."